A healthy place to live, a great place to work. Our workforce plans will only be delivered through our staff, carers and volunteers. They are the people who will work with partners to deliver reductions in health inequalities, tackle unwarranted variation in care and manage the resources we have available. 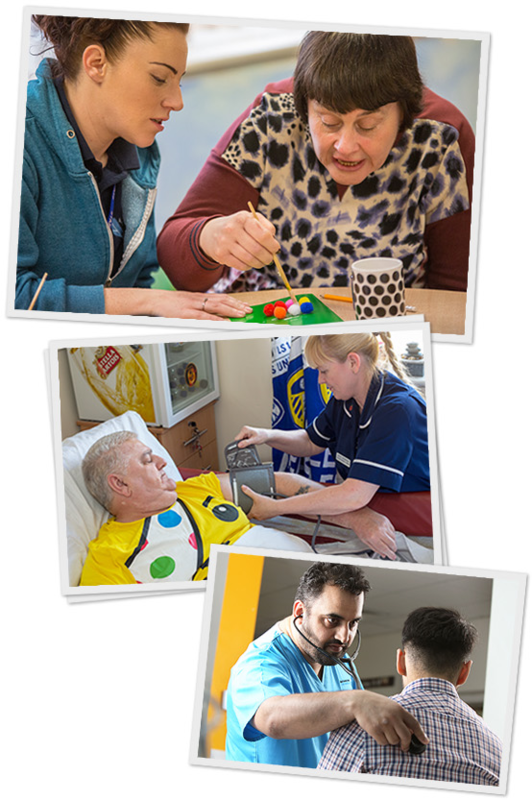 Our workforce plan sets out how we will support our staff, carers and volunteers to manage these unprecedented times and move towards a better future. It recognises that people matter and that our staff are our biggest asset and they deserve the very best support. Our plan looks at recruiting people into health and care jobs; retaining the staff we have got through more flexible, supportive employment; and ensuring we have the right skills across all health and care organisations. All staff across all sectors are equally important to our plans. Volunteers, carers and paid staff have an important role to play and our plans will help to ensure they are developed, trained and supported. The Future Leaders Programme offers opportunities for Health Education England Yorkshire and the Humber medical and dental trainees to do a one year “out of programme experience” (OOPE) Clinical Leadership Fellowship to help grow and develop their personal leadership skills. Some Clinical Leadership Fellow vacancies are open to nurses and allied health professionals. Vacancies for the Programme are available here. Applications for the Programme open on 23 November 2018 and will close at 4pm on Friday, 14 December 2018. All interviews will take place between Wednesday, 2 January 2019 and Wednesday, 23 January 2019. For further information visit the Future Leaders website and the Future Leaders FAQs. The International GP Recruitment programme was created in support of the GP Forward View (GPFV), which recognises the pressures within primary care and general practice, in particular the challenge of workforce and GP recruitment. Following a successful bid to NHS England, we have embarked on a three-year project to recruit 110 international GPs to West Yorkshire & Harrogate. Find out more.